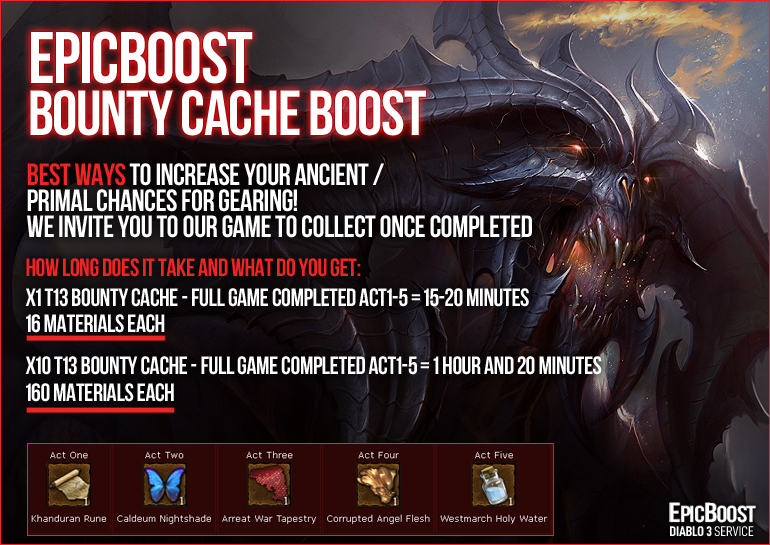 ✅EpicBoost✅[US] x3 (15 CACHE) Torment 13 Bounty Cache FULL GAME = $7__100% POSITIVE FEEDBACK! WHEN CAN YOU START THE ORDER? We are online 12-14 hours a day , 7 Days a Week. We Will start on your order once we have all the required details. HOW LONG DOES IT TAKE AND WHAT DO YOU GET? After Order has been completed, Please drop a feedback to help support us , Greatly Appreciated!